16:00 ALL COMPETITORS BACK SAFE AND ACCOUNTED FOR. A fantastic day to be in the mountains. Clear skies and stunning views across the Lake District. A nice end to the challenging conditions of yesterday. 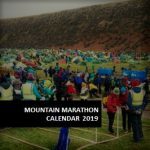 Mountain Marathoners are a hardy bunch. All the routes and listed below. The competitors enjoyed a warm welcome back to the event centre and met by a hot meal and cup of tea. A thoroughly enjoyable weekend we’d like to thanks all the competitors for making the 50th event so special. It’s very humbling to have such a friendly community of mountains enthusiasts. 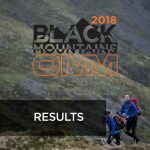 It was great seeing those who came out of OMM retirement for the 50th running along side so many new competitors. Well done to all the winners and everyone who took part. We’ll have all the images and highlight video up for you shortly. 08:00 Day 2 begins. After the blustery night with mixed amounts of sleep the teams lined up for the return leg to the finish. It’s been a race of 2 halves, yesterday the clag suited those with an orienteering background. Today clear skies will favour the quick runners. Good luck to all, we’ll see them at the finish.